Members of the league at the AGM. 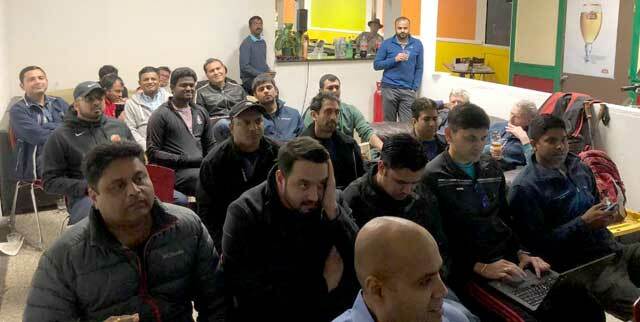 Northern California Cricket Association (NCCA) recently held its 2019 Annual General Meeting (AGM) and a meeting of its Board of Directors (BoD). It was one of the most important AGMs and BoD meetings in the recent past with new Board members assuming their responsibilities and electing key committees for NCCA’s 2019 operations. 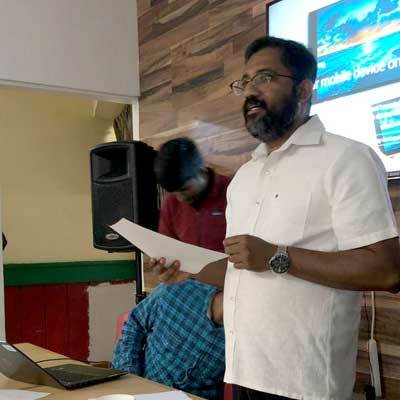 Biju Nair NCCA President presented his annual report and discussed plans for the 2019 season. Match Secretaries Alan Weedy and Krish Chellakarai presented updated those present on the upcoming league schedules, registration, etc., followed by a 2018 Financial Report by Treasurer Sridhar Reddy. The Treasurer also submitted a proposed 2019 Budget, which was approved by the Board. NCCA is no doubt proud and thankful for its BoD placing the emphasis and a focus on Youth Cricket, by approving those critical elements of the 2019 budget. The AGM and BoD also passed many critical Constitutional changes to help improve the quality and providing greater player participation in the NCCA. Northern California Cricket Association President Biju Nair address the meeting. Anuj Patel was unanimously elected Chairman of the Board with the following members elected to the Board, along with Committee Chairpersons. Biju Nair, President NCCA will appoint the other ad hoc committee members after reviewing the nominations. 2019 seems is shaping up to be a very busy cricketing year for NCCA. President Nair referred to the 2019 AGM as one of the most historical AGMs enabling more the participation of more players and an added focus on youth cricket. He thanked the entire Board and the community for their support in building the momentum for NCCA to enter in 127th year of operations.